Discussion in 'General Polls' started by LiveForTheLaunch, Jun 11, 2013. It's like a metaphor for Greece then. Best ones I've been through are Narita, Schiphol, and Copenhagen. Worst ones are Reus, Rome (the one that isn't Ciampino), and the old airport at Athens (now thankfully gone). If I don't write anything next to it I either can't remember it, or nothing stood out. London Stansted - I actually quite like it, although the area through security is too small and cramped compared to the check in area which is HUGE. London Heathrow - Totally depends on the Terminal. T5 is great, 4 is probably the worst as it's just a single concourse with nothing to do. London Gatwick - It has become a lot better under the new ownership. No complaints really - the car parks are really good. London Luton - Absolutely DIRE. The car parks are horrible and the departure lounge is far to small for the amount of people that use it. There is plenty of room around the gates but they keep you penned in the tiny lounge like cattle for as long as possible (I know this is commonplace, but at least have enough space for it). There are no seats either. Also full of package holiday peasants - avoid the summer holidays at all costs! Birmingham - Really good, probably my favourite. Minimal faff and a nice mix of restaurants and fast food. Well connected. Manchester - Also quite good. Security took forever, but I probably just caught it on a bad day. Coventry - Thomsonfly did a few commercial flights here between 2004 and 2009 or something, used it to fly to Amsterdam in 2006. It was literally a portacabin with 2 check in desks. Due to the tiny operations there was no faff, as everyone at the airport was going on the same flight. It was just fab due to it being 15mins from my house. No facilities whatsoever though. They couldn't get planning permission for a permanent terminal so the airline stopped using the airport. East Midlands - A smaller version of Luton. *Gibraltar - Recently rebuilt so is nice and pretty, despite being small. It has a huge outdoor terrace overlooking the Runway which is a nice touch. Often closes during bad weather though </3. Frankfurt-Hahn - Can't really remember it, typical Ryanair airport I think. In the middle of nowhere. Turin - Quite a small regional airport. Could be good but ruined by busses from the plane to the terminal (my biggest pet hate at airports). Rome Ciampino - Gross. Secondary airport. Göteborg City - The only Ryanair airport which is actually closer to town than the larger airport. In 2006 it was just a tin shed and you had to get your own luggage off the trailer thing (not that we had any luggage, obv). They were just starting work on it so it's probably completely different now. Tampere - Another tiny airport. Walked straight off the plane and outside so no complaints really. Oslo - Smaller than I expected but it was fairly modern and had free wifi <3. Reykjavík-Keflavík - New terminal but badly designed. Arriving passengers get spat out into the departure lounge, with the departing passengers, then have to follow a ridiculous route through the whole lounge to get to passport control. It was really weird and confusing. Moscow Domodedovo - Really bad. It has a good rail link but that's about it. Extremely expensive, excessive security (can't really hold this against them as it has been bombed about 5 times), disorganised. Sofia - Gross and falling apart, in need of a revamp. No train link, but I think the Metro is being extented to reach it eventually. Bucharest - I was expecting another Sofia but was pleasently surprised, plenty of seating and food options at reasonable prices. Not sure about the transport links but taxis are dirt cheap. Dalaman - It was a proper 70s airport but has since been rebuilt so I can't really comment. Dublin - it was basically Manchester or Birmingham but with more irish accents. Gets extra points for having a McDonalds. Tel Aviv Ben Gurion - Potentially fab but completely ruined by the extreme security. It doesn't make any sense because they don't give a crap when you enter the country, but on departure you get an hour long interrogation. They will open your bag and swab every dirty sock and pair of underwear individually. We didn't even get to see the departure lounge because it took 3 hours to get through security (this was before the check in desk). Sharm el Sheikh - Old, cramped, smokey, smelly. Marrakesh - See Sharm el Sheikh. Queen Alia - Tired and old 70s concrete. Used it in 2012 and a completely new terminal was being built to replace the old one. Doha - I have used Doha to transit (2013) and also as a destination in itself (2011). I love Qatar Airways but Doha really lets them down as their primary hub - it's far to small for the amount of traffic it receives and simply cannot cope. They run it quite efficiently though considering how much of a dump it is. Luckily, a gigantic brand new airport is opening a few miles to the west very soon to replace this one. Dubai - Fab. Amazing choice of food outlets, duty free and very well connected to the city. Everything is absolutely massive so you never feel suffocated. Singapore Changi - One of my personal faves. One terminal has a swimming pool and another has a butterfly garden. There is also free Wifi. The only slight gripe is that they make you go through security again when in transit, but this seems to be the trend everywhere now. Bali Ngurah Rai - A real let down. It's a brand new airport but they haven't bothered finishing it. It's fine until you go through security and then realise there are no facilities - it's just one huge concourse with loads of carpet. The only refreshments on offer were temporary stands selling hot dogs. Hong Kong - Kind of like Singapore but without the butterfly garden. Also one of my faves. Schiphol is a very odd one - I checked in, and scanned my passport to get through to a big departure lounge, and thought "right - I'll get through security, then have dinner and get a bottle of water". Only depending on who you're flying with, the security scan may be RIGHT before the departure gate, so I went for dinner (choice of restaurants and other facilities seemed good - I spotted some pop in spas), I then went to the departure gate, which had a drinks machine OUTSIDE, I checked whether I'd be able to take a drink from that through, and was told "no - only sealed bags from duty free" I didn't have enough time to go back, and saw another vending machine inside so thought I'd use that one. A couple in front of me had their duty frees confiscated (They were transferring, and had bought them at their departure airport), and I finally get through and find the drinks machine is out of order!! Bloomin' ridiculous! do any other airports do that? Also - Gatwick's north terminal is pretty nice, but the south one is awful with that long duty free shop between security and the departure lounge! Oh and the person who decided to charge to drop someone off at the airport should be put in stocks so we can throw tomatoes at him! Keep me the hell away from Philadelphia and LaGuardia. If I'm ever on a plane I'm leaving from either Newark or Atlantic City Int'l. I love the twin cities airport. Everything can be accessed through one security gate, so you can eat anywhere no matter where your flight is leaving. The interior looks really nice, and the airport usually isn't too crowded. WORST Must be JFK. The one time I went there, we had to get off the plane and walk ½ mile just to get to the terminal building. Then there was horrible signage and we could barely figure how to get out. And finally, we realized (too late) that the fee for the terminal shuttle was $5 (ridiculous) so we had to dig in our luggage to find our wallets. Gonna go ahead and add Barcelona El Prat to one of my least favourite airports. One Easyjet worker for about two hundred people, no food options apart from one store that had overly salted chicken, and just overall crappy! Maybe the other terminal was better, but from my experience it's certainly one of the worst. Gatwick ranks low as well. Was that terminal 3/c? Think that's where EasyJey flys from, if so it felt a bit run down too from my memory. Most airports are much the same to me really, but I do have a bit of an irrational dislike of Liverpool. I just find it even more soulless than most airports for some reason. I'd much rather make the effort to go down to Stansted. I remember Gothenburg City when it was in its tin-shed days too. It was always pretty relaxed and laid-back though. Madrid Barajas was pretty decent. Fancy architecture kept me interested. 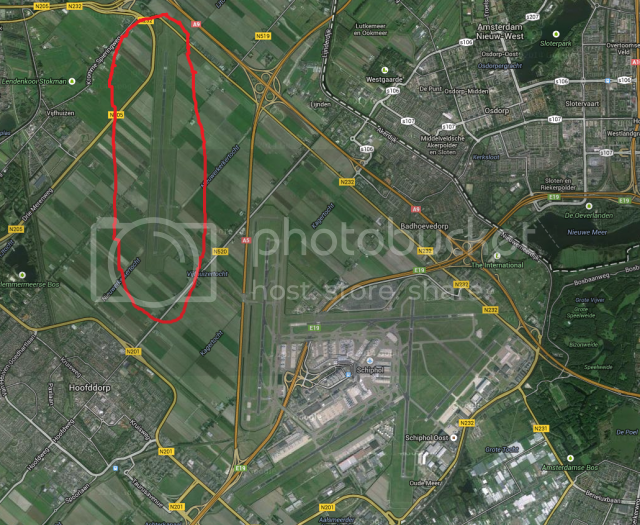 I also recall Amsterdam Schiphol, and how massive the place is. Not only does it take you forever to get to your gate on foot, but they seem to have to drive the plane from Belgium to get you to the gate when you arrive! I'll agree with you on that one. I had to transfer from an international flight to a domestic one yesterday morning. What a burden! Aye I landed there flying from Luton with Easyjet; taxi was half as long as the flight itself. Similar story at Barcelona El Prat, flight out was nearly 15 minutes longer than flight back when booked and turned out it was due to the taxi across the entire airport. LAX can just right off. Absolutely third world. This was the queue just to get in to the terminal building. Once you do finally check in, you join the next queue to get through the one person on security, before entering what must be the world's smallest seating/holding area. Utterly vile place. Västerås airport in Sweden is superbland then again it is also really tiny, 1 terminal with 3 gates, same goes for Visby airport also in Sweden. Stockholm-Arlanda in Sweden is actually really nice. Always hade good experience with Heathrow in London and Gatwick. Stanstead was utterly meh, so was Newcastle airport. Prague airport wasn't exactly something to hang in the christmastree either and neither was Dublin. Schipol (Amsterdam) is decent but it just feels like everything is SO. FAR. AWAY. I'm gonna give a thumbs up to Charles de Gaulle - Yes it's huge, so you'll need to allow plenty of time - but the signposting is really good making it nice to navigate - Nice facilities and shops both landside and airside, the massage chairs are lovely, and it just has a surprisingly nice and relaxing vibe! Indianapolis and San Diego are some of my favorites as they are laid back and security doesn't have much of a line.